All Siddhivinayak devotees should remember that Maharashtra Govt. took over the Siddhivinayak trust in 1981. 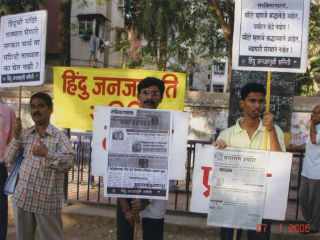 Maharashtra Govt. 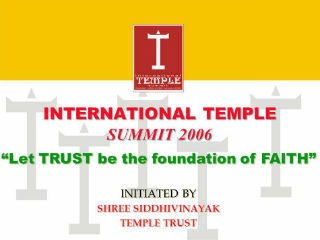 appoints custodians and trustees for the temple to manage its activities. Donations made by devotees in Millions rest in the hands of these appointed trustees. The Donations from the devotees are being misused as per the whims and fancies of the trustees and Government. 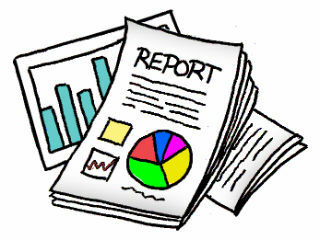 Millions of rupees are siphoned of into companies owned by Ministers, for their use. While this matter was sub-judice, the trustees blew up Millions on their meetings in 7 stars hotels! Is blowing up the hard earned money of devotees, not a cruel mockery of democracy? Donations from devotees should be spent on the religious matters only! Temples are the ancient and age old foundations of our Sanatan Dharma. 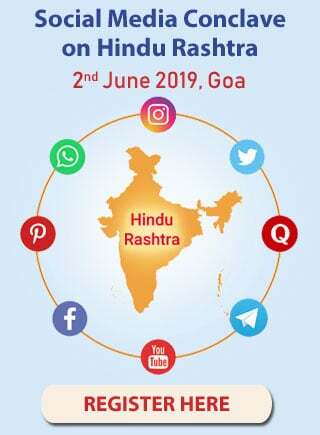 Knowing the importance of the tenets of Dharma, anti-social and anti-religious groups launched their attack on Sanatan Dharma. In fact, we should be spreading the teachings of Sanatan Dharma through the temples all over India. 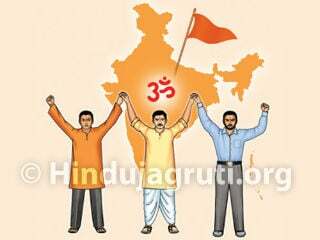 Hegemony of the politicians empowers them to misuse their powers and shake the very roots of our Hindu Dharma. Donations received by temples should be used for spreading spirituality, imparting knowledge to devotees on Dharma and for the upkeep of the temples. Part of the Donations should be utilized for social and educational upliftment. But what is the ground reality today? A. The individual involved in the decision making process of any level of the temple should be a Hindu by belief and should have faith in Hindu scriptures. Anybody having faith in some other religion will not be accepted. B. The donations received shall always be kept separate and shall not get mixed with the State money. C. Major share of the offerings shall be used for Temple Administration and Maintenance, education and propagation of Hindu Dharma and Hindu scriptures, maintenance and rejuvenation of the temples in the nearby areas. D. Temples should be engaged in propagation and teaching of Sanskrit for common people. This is because this language is said to be the Mother of all Indian languages. This language is the language of the Holy Scriptures of the Hindus. This language which actually is said to be the most scientific one, is as stated by many people in this country as a dying language. So the temples shall do everything possible for the upbringing of this language so that in future the Hindus will not have to turn to English or German to study these scriptures. 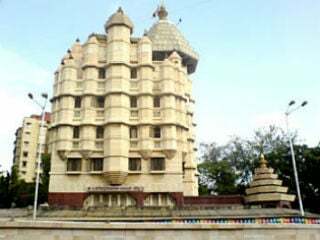 E. Considering the overall image a temple has in the society and considering the image of Govt.ÃƒÆ’Ã†â€™Ãƒâ€šÃ‚Â¢ÃƒÆ’Ã‚Â¢ÃƒÂ¢Ã¢â€šÂ¬Ã…Â¡Ãƒâ€šÃ‚Â¬ÃƒÆ’Ã‚Â¢ÃƒÂ¢Ã¢â€šÂ¬Ã…Â¾Ãƒâ€šÃ‚Â¢s credibility in managing public money with Shree Siddhivinayak Temple has been alleged paying money to institutes controlled by politicians, arranging the summit at seven star hotels is a very serious thing. Having sponsorship cannot be an excuse to spend the money. As such an act shows the attitude of the administration. If any penny of the devoteeÃƒÆ’Ã†â€™Ãƒâ€šÃ‚Â¢ÃƒÆ’Ã‚Â¢ÃƒÂ¢Ã¢â€šÂ¬Ã…Â¡Ãƒâ€šÃ‚Â¬ÃƒÆ’Ã‚Â¢ÃƒÂ¢Ã¢â€šÂ¬Ã…Â¾Ãƒâ€šÃ‚Â¢s donation is used for such purposes then it will be shocking news to devotees. F.Temples be managed on the basis of faith or shradha at its core. The concept of temple tourism in its purest sense if implemented without due consideration to this aspect then it is damaging for the temple culture of Hinduism. If the above demands are not complied with, it would mean injustice to the Hindu Community in India and world. It would also mean a mockery and disrespect to my Devotion towards Shri Ganesh. In such a case, I demand that the Hindu Temples in India be granted autonomy irrespective of their wealth.